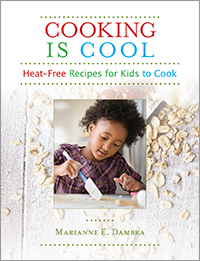 Dish up fun learning experiences for children with Cooking Is Cool: Heat-Free Recipes for Kids to Cook. In this new book, Marianne E. Dambra shares more than 50 recipes packed with flavor and learning—and each recipe can be prepared without an oven, stove, microwave, or hot plate. We chatted with Marianne about the cookbook-writing process, and she shared advice for guiding budding chefs as they help transform fresh, simple ingredients into tasty snacks, beverages, entrees, and treats. You’ll also get the inside scoop on Marianne’s favorite recipe! Cooking Is Cool is filled with really amazing recipes, and they’re all heat-free. How did you come up with so many clever ideas? What is your favorite recipe in the book? Moon Balls! This was the first recipe I ever used in my classroom, and it was a huge hit. The best part of making Moon Balls is that you get to use your hands to mix up all of the ingredients. Each ingredient has a different texture (peanut butter is smooth, honey is sticky), and they are fun to blend together to form an interesting dough. I still make Moon Balls for my family. Were there any interesting surprises as you created recipes and wrote your cookbook? Yes—Purple Cows are not purple; they are pink! When you make this fun smoothie (a mixture of banana, milk, and Concord grape juice) with children, talk to them about it. Why did that happen? How can we change the color? Let the kids be creative! I was also surprised by what I learned when researching the “Did You Know” section for each recipe. I gleaned so much information on a variety of topics. I am now especially interested in animals in the jungles, like gorillas. I hope readers find the information just as exciting as I did, and I hope the extension ideas help create great learning opportunities in your program. When it comes to cooking with kids, what can adults do to make it a fun and meaningful experience? 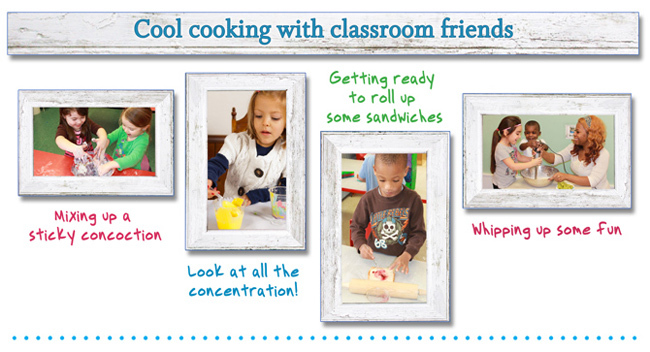 Encourage the children to be a part of every step in the process of making the recipe. Being hands-on is an essential part of learning. Together, you can review the recipe and write the grocery list, gather and prepare the ingredients, and follow the instructions. You should enjoy cooking, too. Children will respond to your cues about food and the joy that comes from cooking. And, always be honest. Recipes do not always come out perfect, or you may not like the way things taste, and that’s just fine! Keep trying until it works out right. When you’re not busy whipping up no-heat snacks and entrees, how do you like to spend your time? When I am not making heat-free recipes, I turn on the oven and bake desserts! I love to bake everything—cookies, cakes, and pastries—it doesn’t matter; I just love cooking. I spend a lot of time with my husband and daughter, as well as with my extended family. We enjoy going to professional lacrosse and hockey games, fishing, geocaching, and our Sunday Italian dinners. When I am not spending time with family, I volunteer at the Veterans of Foreign War (VFW) Ladies Auxiliary in Fairport, New York. My husband is a Gulf War veteran and we do as much as we can to help veterans in our area. What is your recipe for the perfect day? A perfect day? Hmmm. A nice warm and sunny day at the 1,000 Islands in northern New York with family, sitting in the sun, looking at the river, enjoying the quiet time, and doing nothing! 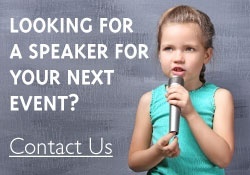 Learn more and see a full list of titles by Marianne Dambra.